March 22, 2019 -- It's Official! signs into law House Bill 1066, otherwise known as "Operation Prairie Dog." 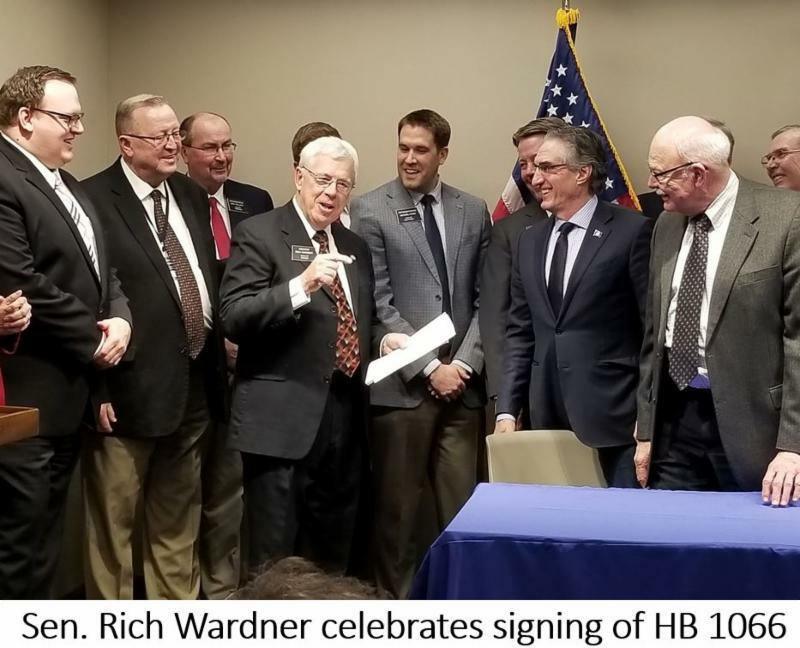 Governor Doug Burgum signed HB 1066 on Wednesday surrounded by more than a dozen legislators who played key roles in passage of the bill. 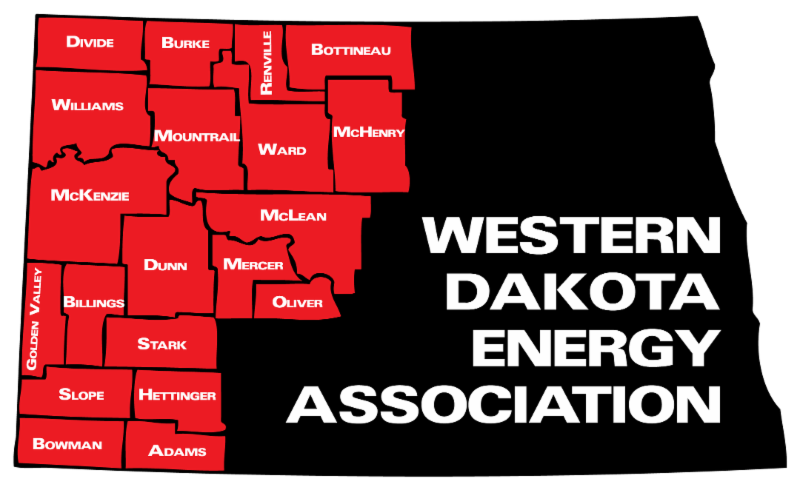 The legislation provides “in lieu of” oil tax revenue to the hub cities of Dickinson, Minot and Williston, as well as other cities, counties and school districts impacted by oil development. Also included in the bill are $115 million infrastructure “buckets” for non-oil cities, counties and townships, as well as $20 million for airport projects. In remarks before the signing ceremony, Governor Burgum cautioned political subdivisions to spend the dollars wisely. Burgum said funds provided in the legislation would assist the state’s workforce recruitment effort. The bill’s primary architect, Senator Rich Wardner, agreed, saying the bill would help North Dakota cities improve their quality of life. The prime sponsor of the bill was Rep. Mike Nathe, R-Bismarck. He said future generations may view Prairie Dog as landmark legislation that stimulated economic growth. Click here to listen to Nathe’s comments. Click here to see projected city payouts in non-oil regions, and here to see county amounts. For an article from the Bismarck Tribune on passage, click here. Hat tip to Linda Svihovec for sharing the photo above that captured the moment! The House Appropriations Committee took a dim view this week of a couple bonding bills that would establish low interest loan funds for major infrastructure projects. 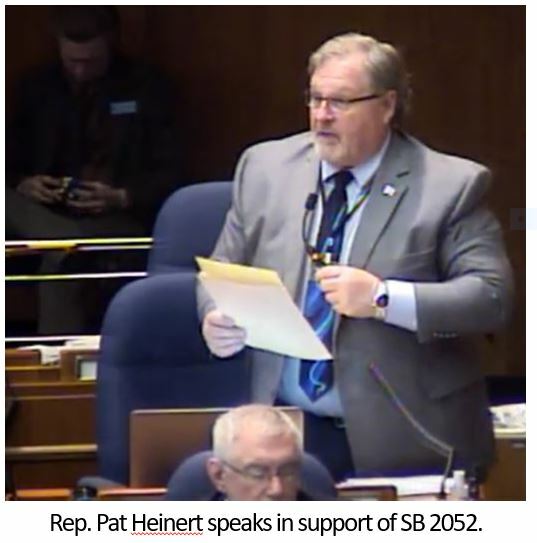 A bonding provision was removed from one bill sent to the floor with a Do Pass recommendation, and the committee voted 15-3 for a Do NOT Pass recommendation on SB 2275, which Senator Majority Leader Rich Wardner has referred to as Prairie Dog III. Wardner's bill would use $55 million in earnings from the state Legacy Fund to purchase bonds to provide up to $500 million in low interest loans for infrastructure projects. The bill previously received unanimous 45-0 approval in the Senate. It will be debated on the House floor next week. 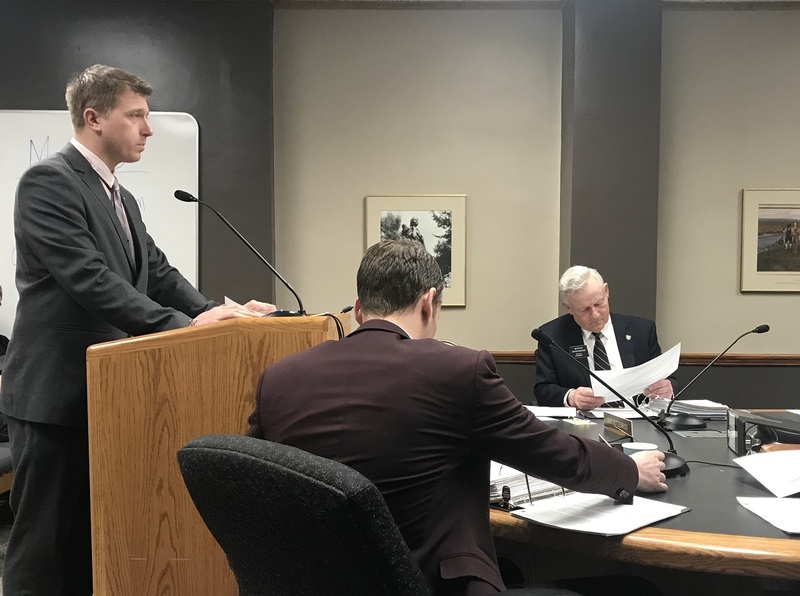 The same committee yesterday approved amendments to SB 2268, introduced by Senator Dale Patten, R-Watford City, that in its original form would tap earnings from the Legacy Fund to meet debt service requirements for loans issued for a "corridors of commerce" program. Legislative observers say in its amended form, the bill is more likely to pass the House, and may land in a conference committee that would work out differences between the House and Senate. 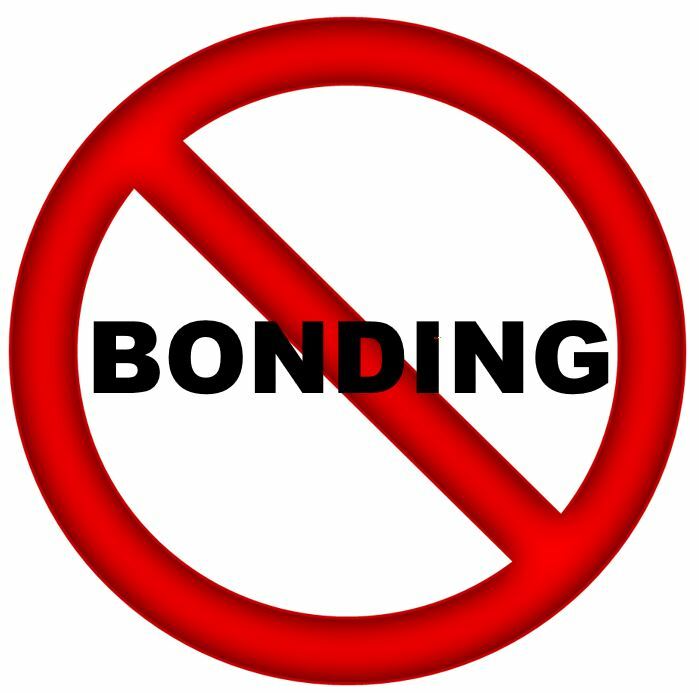 The House Education Committee also removed bonding provisions from SB 2214 this week and sent the bill to the floor with a Do Pass recommendation. The legislation was originally intended to generate an additional $250 million for the current low interest school construction revolving loan program by leveraging money from the Foundation Aid Stabilization Fund. Instead, the amended version provides for a direct transfer of $75 million from the stabilization fund to the loan fund. 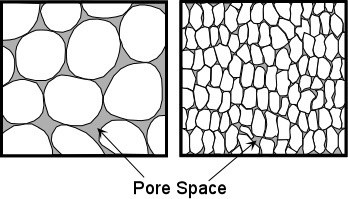 Legislation that attempts to clarify state law addressing the use of underground pore space will be debated on the House floor next week. The House Energy and Natural Resources Committee voted 10-2 yesterday to approve the amended version of SB 2344. The revised version was recommended by a subcommittee which met five times to work out disagreements over the bill. 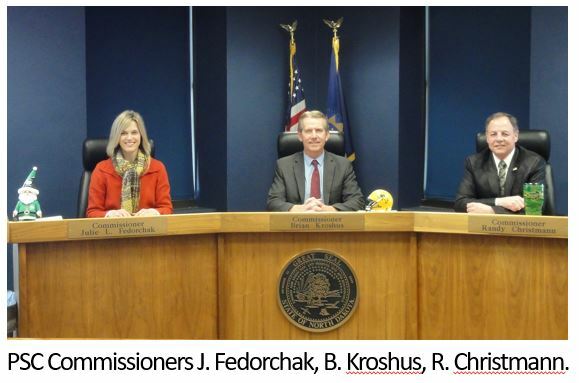 Oil producers and industry regulators testified that a recent North Dakota Supreme Court case incorrectly drew a connection between two separate chapters of ND Century Code. They say the legislation is intended to show the two statutes address different issues. The Supreme Court in a July 2017 ruling in the case of Mosser vs. Denbury Resources concluded that a mineral developer may be liable to a surface owner for saltwater disposal into pore space. But oil industry lobbyists said the court’s decision misinterpreted the intent of a 2009 law intended to facilitate carbon dioxide sequestration, and ignores longstanding common law precedent associated with oil production. Click here to read more about the issue. A North Dakota Senate committee is considering a resolution that would ask voters to approve a constitutional amendment that would automatically reinvest all earnings from the state’s Legacy Fund. The fund was established by voters in 2010 and receives 30 percent of extraction and production taxes on oil and gas produced in North Dakota. Its current balance is approaching $6 billion. Earnings from the fund were required to be reinvested for the first seven years of its existence, but are now transferred to the state general fund. HCR 3055 would ask voters to change that so earnings would once again be reinvested, and could only be spent with a two-thirds vote of the legislature. 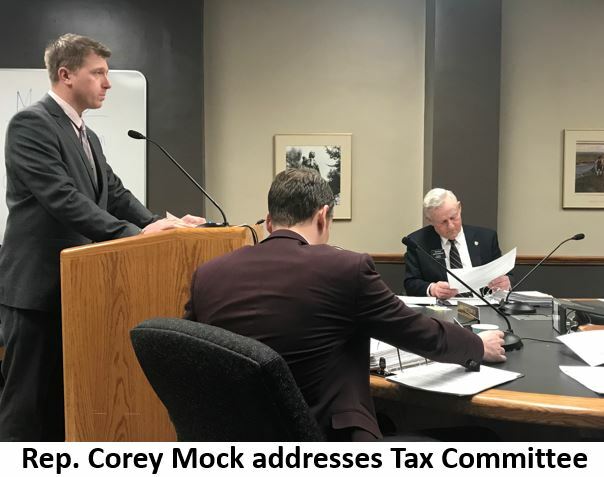 The resolution was introduced by Rep. Corey Mock, D-Grand Forks, who told the Senate Finance and Taxation Committee this week if all earnings are spent over the next 40 years, the fund balance would be about $34 billion. But noting the power of compound interest, Mock said if all earnings were reinvested for the next 40 years, the Legacy Fund would grow to $143 billion. Click here to listen to Mock’s comments. The committee took no action on the bill. It previously passed the House 69-23. If the Senate approves the resolution, it would appear on the 2020 Election ballot. Click here to see charts Mock shared that show various scenarios for Legacy Fund growth. It was close, but the Senate voted 25-21 to repeal the state’s longstanding ban on Sunday morning shopping. The bill previous passed the House 56-35, and it now goes to to Gov. Dough Burgum who has indicated support. 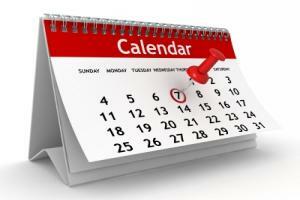 If the Governor signs the bill it would take effect August 1. The Senate floor discussion on HB 1097 centered around family values and the religious tradition of church-going on Sunday morning versus choice and free enterprise. Sen. Shawn Vedaa, R-Velva, a small business owner, talked about his experiences with Sunday opening and how he protected and preserved the Sunday morning tradition even while being open for business. Click here for his comments. 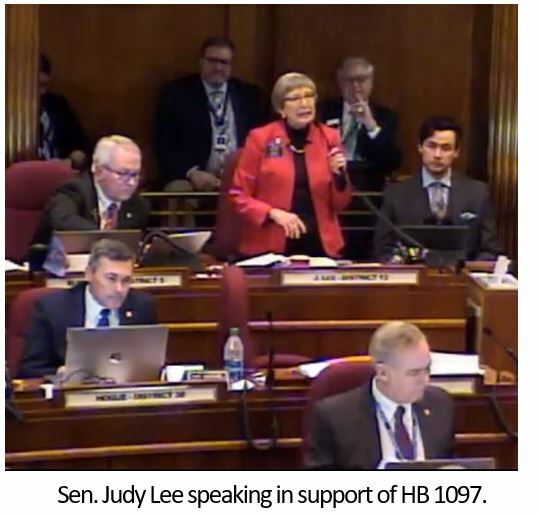 Speaking in support of the bill, Sen. Judy Lee, R-West Fargo, mentioned how churches now offer different days and times for worship beyond the traditional Sunday morning period and how passing the legislation would provide choices for business and for individuals. Click here and here for her comments. 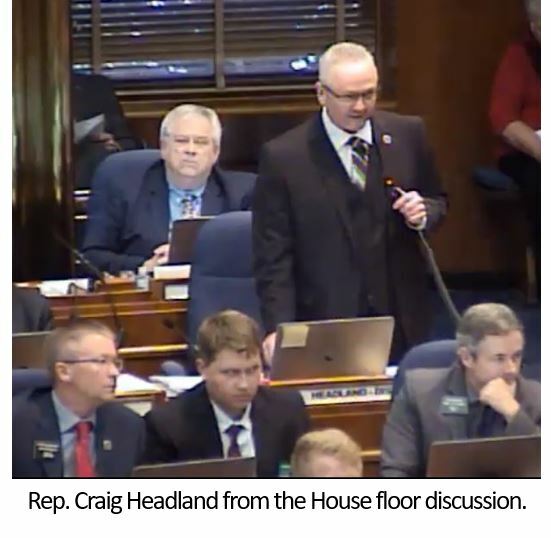 Click here for an article from the Fargo Forum on the Senate passage of the bill along with a listing of how Senators voted. Click here for a Jan. 17 article from the Fargo Forum on the House version of the bill and how House members voted. In a decisive 84-8 vote, the House joined the Senate in passing SB 2312, a new tribal oil tax sharing agreement that supporters say creates more certainty within the oil and gas industry, encouraging more investment into the oil resources found on reservation land. The bill changes the current 50-50 tax revenue split so that 80 percent of the production and extraction tax revenue from new wells on tribal trust lands would go to the tribe and 20 percent would go to the state. On fee land, 80 percent of the revenue would go to the state and 20 percent to the tribe. Headland talked about the bill's fiscal note and how it could be offset. Click here for his comments. Rep. Sebastian Ertelt, R-Lisbon, and Rep. Rick Becker, R-Bismarck, both said they support the bill but disagreed in how it was handled given the fact that Gov. 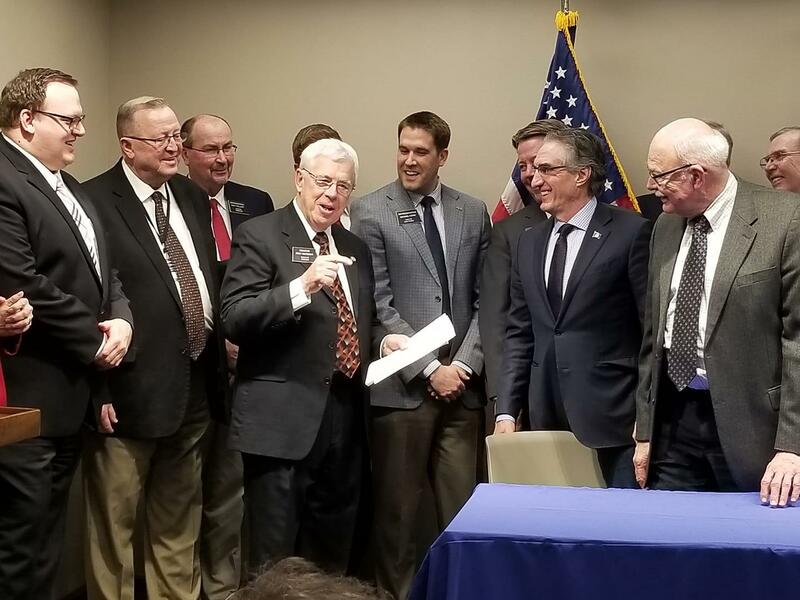 Burgum and MHA Nation Chairman Mark Fox signed a new compact essentially agreeing to the new tax structure prior to final approval by the House. House Majority Leader Chet Pollert, R-Carrington, talked about how the bill builds relationships and the strong role of the legislature in approving the measure. Click here for his comments. Click here for an article from the Bismarck Tribune on passage of the bill. North Dakotans are going to continue to pay state income taxes after the Senate overwhelming rejected a bill that would have used earnings from the Legacy Fund to reduce the traditional state revenue source. The Senate killed the proposal on a 41-4 vote, bucking the House which had passed it 61-31. 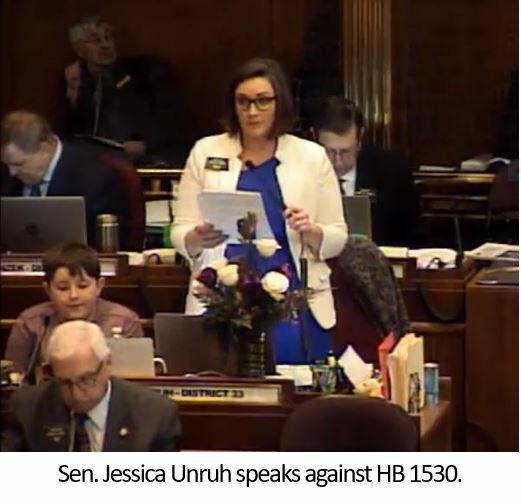 HB 1530 would have created the Income Tax Rate Reduction Fund which would have consumed nearly half of the earnings from the Legacy Fund in each two-year budget cycle. 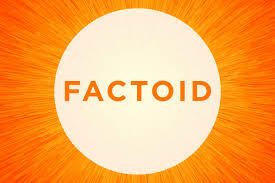 When the dollar amount in the fund tops $50 million, a rate would be calculated to reduce income tax rates and when the fund grew large enough, income tax rates would have been reduced to zero. Tax Commissioner Ryan Rauschenberger estimated it would take at least 10 years for it to occur. Sen. Unruh remarked in the floor discussion that the state relies on its “three-legged stool” tax structure and shouldn’t be too reliant on any single industry for revenue. Click here for comments from Sen. Unruh. No one on the Senate floor spoke in support of the bill. For an article from the Bismarck Tribune on the defeat of this bill, click here. 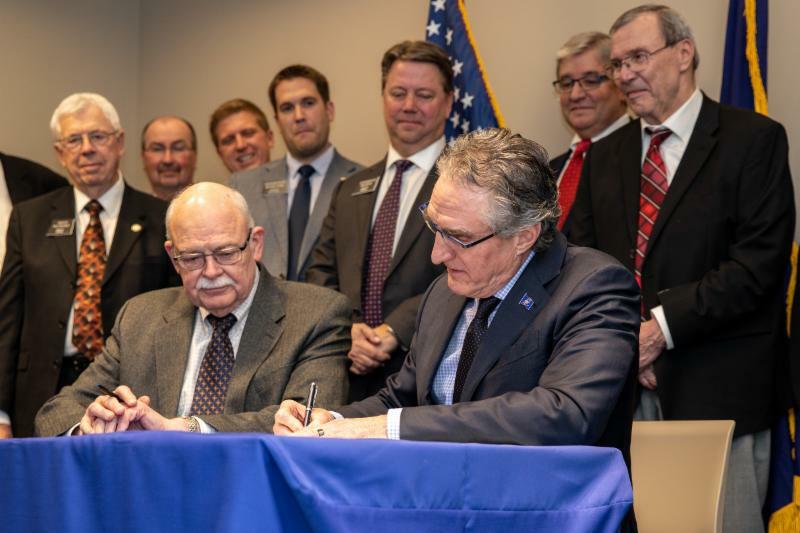 Governor Doug Burgum has signed SB 2052 which grants school districts the authority to levy taxes to develop a school safety plan. The bill allows school district voters to approve up to five mills for up to five-year period. The bill was approved last Friday by the House on a 55-31 voted. It previously passed the Senate 43-3. The House Education Committee gave the bill a strong Do Pass recommendation and heard no opposing testimony. Rep. Pat Heinert, R-Bismarck, a member of the Education Committee and retired Burleigh County Sheriff, gave examples of what could be included in the funding of a school safety plan. Click here for his comments. Rep. Sebastian Ertelt, R-Lisbon, indicated he supported school safety and expenditures to support safety systems but didn't like the voting requirement and taxing implications. Click here for his comments. 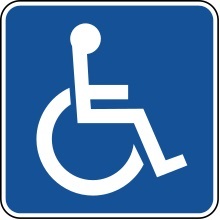 Closer handicapped parking, family restrooms, rest areas and better signage are just a few of the items that would be considered if lawmakers decide to proceed with an interim study regarding the accessibility of the state Capitol. Both houses of the legislature have approved HB 1298 which asks Legislative Management to examine the issue during the 2019-20 interim. The bill’s sponsor, Rep. Marvin Nelson, D-Rolla, said there is definitely room for improvement. Nelson said one of the biggest problems with Capitol parking is its distance from the nearest entrance. There’s no guarantee Legislative Management will pick the study, but chances are good considering the margin by which the bill passed. The House approved the bill 89-2, and it passed the Senate 44-1. 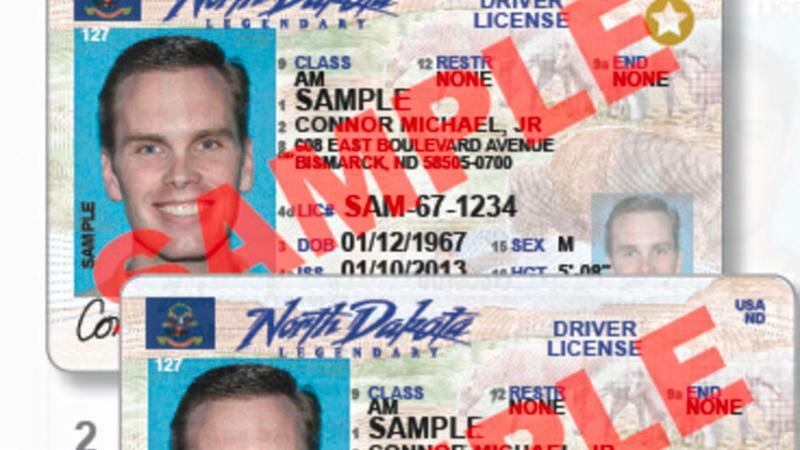 Calling it “an unnecessary additional burden on our residents,” Governor Doug Burgum vetoed a bill that would double the costs of obtaining or renewing a driver’s license. SB 2244 would have increased the current fee for commercial and non-commercial licenses from $15.00 to $30.00. The legislation passed by a wide margin in both houses of the North Dakota Legislature, cruising through the Senate on a 40-6 vote, and passing the House 65-25. Those margins would be sufficient to achieve the two-thirds majority required to override the veto if all legislators voted the same. Supporters of the bill said the current fee is not sufficient to cover the cost of running the driver’s licensing division. But Gov. Burgum said "with technology advancements and new methods of service delivery, the transactional cost of providing driver's licenses can be reduced." It’s estimated the bill would raise about $5.5 million in the 2019-21 biennium. Click here to read the Governor's veto message in the Senate Journal. If you can tear away from NCAA basketball or the Valspar Championship Golf Tournament this weekend, be sure to catch the PBS Series Travels with Darley on Sunday, March 24, at 4:30 p.m. Central Time. The show will feature an episode filmed entirely around McKenzie County. Jessie Veeder, singer and song-writer from Watford City, is featured in the program. “Anytime I have the opportunity to introduce a new audience to the unique and undiscovered beauty and character of the landscape and people here in western North Dakota, I am fully on board,” she said. 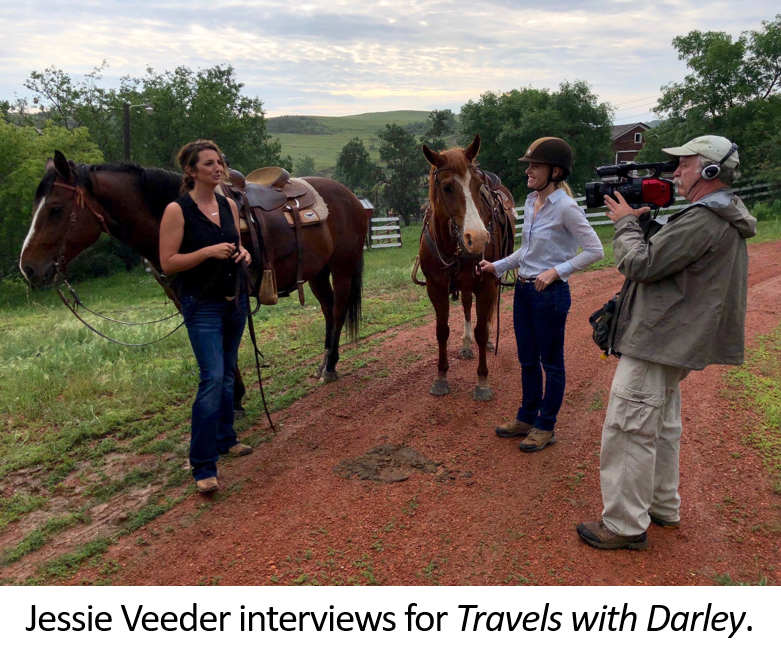 Veeder spent two days with the film crew traveling around McKenzie County and Watford City. 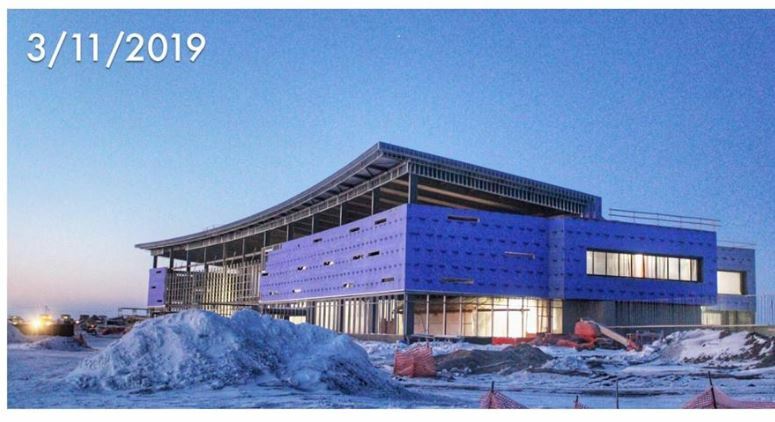 Despite the bite of cold winter over the past months, the work at the new Williston Airport has continued toward its scheduled October 2019 in-service date. Project leaders have posted new photos of their progress. Click here to see the picture gallery. The new airport is needed since Sloulin Field does not meet Federal Aviation Administration design standards for many of the aircraft currently using the airport including aircraft used by Delta and United Airlines along with some of the larger corporate jets. For more information on the project and updates on the progress, see the project website. Click here for a story from KFYR-TV on the importance of aviation to western North Dakota communities. You know it’s approaching spring when you hear that seasonal road restrictions will begin for some North Dakota highways. The ND Department of Transportation typically places load restrictions on highways from March to May, commonly known as frost law season. 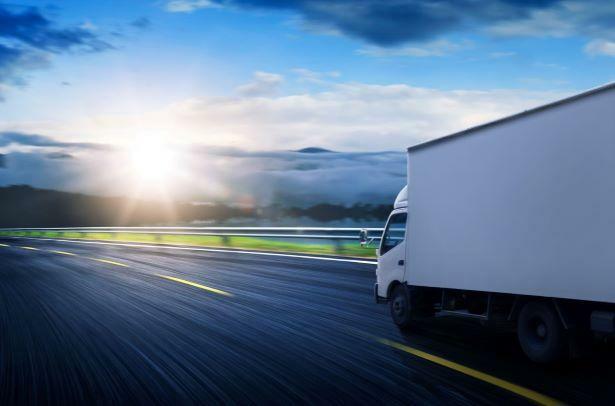 The agency encourages truckers to check the load restriction map daily as restrictions may change quickly due to weather. 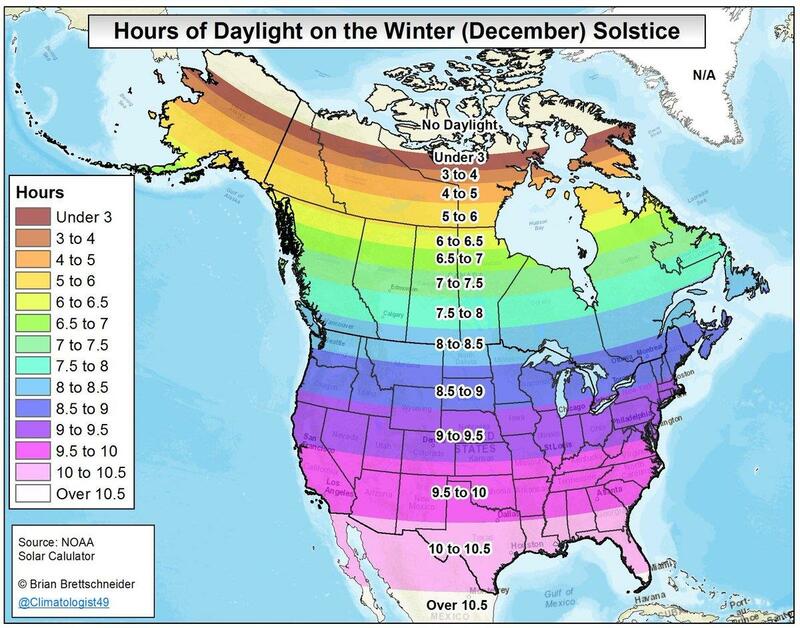 Statewide seasonal load restriction information is available by calling 511 or clicking here. Load restriction email updates are also available. Click here to sign up. 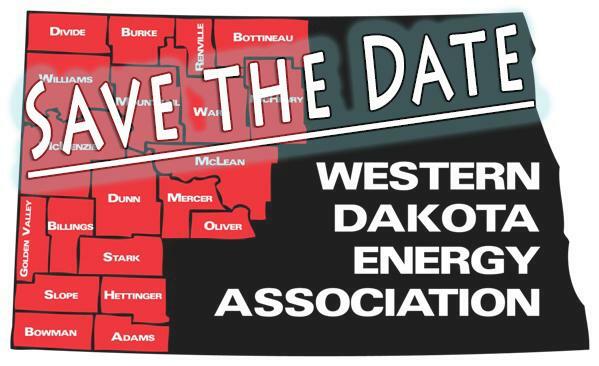 The North Dakota Public Service Commission is planning a workshop to gather input and consider improvements to its standard processes of siting applications, application exhibits and hearings. Persons involved in these processes are asked to share comment on methods of improvement. Submission of written comments will not be required to participate in the workshop. In 2018 there were 35,804 direct jobs and 19,606 secondary jobs supported by the oil and gas industry. Altogether that's 55,410 jobs. 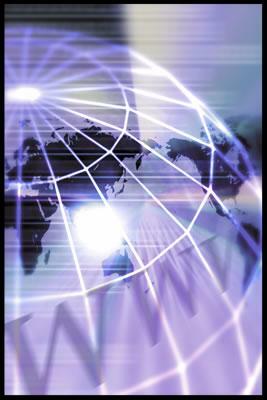 Since 2005 the economic impact of the industry has increased 608 percent.